Selling a house is much more work than buying a house. Just ask anyone who has done it. If you’ve never sold a home before, you may be surprised at how complex it can be. From determining the correct listing price, to navigating contractual agreements; it’s an exhausting process. The best place to start is by choosing a good Realtor who you trust and enjoy working with. Ask their advice through each step of the process and leverage their experience. We at The Smith Realtors will keep you focused on the things that will help you sell your home fast and for top dollar. Below is a list of 10 items that we advise you to work on before listing your home for sale. There will be many different types of people looking at your home when it is listed for sale. To encourage the most positive feedback, it’s best to create a neutral environment. The best way to do this is to remove any objects that reflect your personal choices and lifestyle. If a buyer can walk through your house and determine your religious preference, family size, profession, and/or favorite alcoholic beverage, you know you may need to reevaluate. Some buyers have a hard time emotionally attaching to a home when a sellers lifestyle choices are front and center. This is particularly true when those choices conflict with theirs. Take out all evidence that you even live there and you will be on the right track. It will also help you to emotionally detach from your home and to start thinking of it as someone else’s. When a buyer has to ask if someone lives in your home, you have done your job. Once you have an executed sales contract with a buyer, the first thing the buyer is going to do is hire a home inspector to inspect your house. Why not beat them to it? An inspection usually costs around $300. That’s pennies in the grand scheme of things. Tackle all of the repairs upfront and you will not be surprised by buyers who supply a list of problems to take care of. Inspections are the #1 deal killer in this industry. You can eliminate the whole problem by dealing with the issue right up front. Sure, it may cost you some money out of pocket, but that is money that you will most likely be spending anyway. Buyer’s will second guess a house if the inspection report is loaded with issues. In my experience, when buyers know that there has been a previous inspection and all repairs have been made, they are more willing to pay top dollar. We just had a deal where the home owner had not been to the property in a couple of years and had been renting it out. He put it on the market and our buyers wanted it. We did a septic, radon, well, and full home inspection. All 4 of the inspections failed miserably. The seller was livid when he received our list of repairs, but it was his fault. He was hoping for the best possible scenario and set himself up for disaster. If he would have just inspected these items before listing, it would have never been a problem. He was lucky our buyer still wanted the property at all, after all the issues we had to address. Performing an inspection before listing is well worth the expense. Everyone has a different definition of “clean”. When you’re listing your house for sale, you need to get Martha Stewart clean! Pretend that you’re selling your house to a germaphobe. If you can afford it, hire a professional cleaning crew to spend a whole day doing a deep clean. It’s well worth the money! When a house is unkept, it can be hard for buyers to emotionally attach to it, even if they are not clean people themselves. It’s an interesting irony that many home buyers expect the house they buy to be cleaner than the one they currently live in. This is a reality that must be accounted for. A clean house gives the impression that the property has been well maintained and is easy to move into. To sell your home quickly and for the most money, you want to appeal to every possible buyer. Not everyone is a fan of pets. Your house may be the perfect layout, price, and design but if it smells like animals you may have just lost your buyer. We have worked with clients that are so sensitive to pet dander that when we show them homes, they won’t even finish walking through the entire house if there is evidence of animals. Sometimes they will rule out a house simply based on seeing litter boxes in the property photos. And don’t forget the fact that you can never experience your home as a buyer would, because you live there and are used to its unique smell. Statistically, pet odors are one of the most common reasons for a home to stay on the market for a long time. Carpets show more damage than almost any part of your home. If you have carpet in your house, it’s probably going to be a problem. If the carpets are not stained and are newer, you can get away with simply getting a deep clean from a professional carpet cleaning company. If cleaning will not restore them, you’ll need to replace them. Most any Realtor will tell you that a home with worn out dirty carpets is hard to sell. If the property is a foreclosure, or priced under market value, it’s not as big of an issue. However, if you want to compete for top dollar, you’ll need to tackle this objection right away. Carpets hold a lot of dirt and odor. It’s important that they look and smell clean for your showings. If it’s been more than a year since the interior of your house has been painted, then it’s time for some touching up. If you have paint left over from the last time you painted, use this to touch up areas when there are nail holes, scrapes, hand prints, etc. Touching up existing paint is very easy and makes your home look new again. If you do not have any touch up paint, you can try to peel off existing paint, or cut a small section of sheetrock (which you can repair later). Just do in an area where it’s not very noticeable, like in a closet or behind a door. Take the sample to a local paint store and have them color match it. You may need to do this 2 or 3 times to get the color right. Once you have a close match, use it to make your walls look new again. If you have any strong colors in your house (purple, burgundy, lime green, etc. ), it would be wise to paint over them with a neutral color. We tell clients that they should not have more than 3 neutral colors in their home. The more colors, the more chance you have for objections. You can’t take it personally if someone else does not share your affection for orange. Remember, there are many different types of people and you’re trying to appeal to as many as possible. Neutral colors are the only way to appeal to the greatest amount of buyers. Even those who like strong colors are not always going to like your choices. Then you have to consider that their furnishings and drapes have to match as well. When you look at it this way it’s easy to see that the probability of your strong color choices working for most buyers is quite slim. For this reason, most good Realtors will recommend painting with neutral colors. People will rarely object to buying a home with neutral colors, but will often object to a home with strong colors. Bonus Tip: Paint makes a home smell new. People love new! If you have door trim with oil based paint, find a match to that paint and keep it handy. Before a showing, dab a little bit of paint on top of the door trim where no one would place their hands during a showing. The smell from the paint makes the home smell new. Oil based paint has a strong lasting oder so only use a little bit and do it every 15 feet, or so. If you actually live in your house like most people do, then your closets are full and your garage is packed from floor to ceiling. This is normal. The problem is that some of the homes you will be competing with are either vacant, or almost vacant. These homes show much better and buyers can visualize themselves moving in much easier. To stay competitive, it is wise to rent a storage unit and start loading it with everything that you are not going to need while your house is on the market. Start with all of your memorabilia and pack the unit with the items that you are least likely to need in the back. The more you put in storage, the better. If you have to question, “Should I store this?”, the answer is: “Yes!”. Start packing as though your house is sold and you only have a month left in it. The more you put in storage, the less you will need, because your home will sell much faster! Buyer’s love homes that look move in ready! 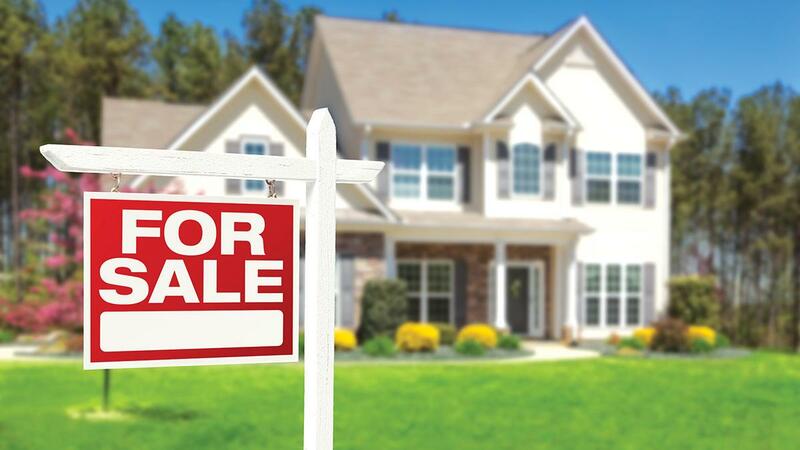 Statistically, landscaping is the biggest bang for your buck when listing your house for sale. We’ve all heard about the importance of “curb appeal”, and know that first impressions are HUGE in real estate. The fastest way to freshen up your landscaping is new mulch. Spread a layer of it all throughout your landscaped areas. This is inexpensive and requires very little time commitment. If you’d like to make an even better first impression, plant some colorful flowers which will make your new mulch stand out even more. Trim any over grown plants and bushes and clean up your outdoor spaces to look new again. In a town with weather as beautiful as ours we spend a lot of time outside, so it’s likely to have a big impact on your buyer’s decision to purchase your home. Every property is different and will have unique and specific areas to address. We as experienced Realtors look at dozens of homes with home buyers every week. When we walk through your house at a listing appointment, we have buyer’s voices in our heads calling out objections. We know what buyers want because they tell us every day. Every market is different and there are different tactics for each area. We as your trusted Realtor will point out all of the objections that you can expect to hear from your potential buyers. There will always be Sellers that don’t want to hear it, but this is extremely valuable information, so be sure to take advantage of it early on in the listing process. As you read through our list above, don’t be intimidated by the scope of work. Make a list of things that you feel are important for your home sale and then plan them out accordingly. Tackle one item at a time and before you know it, your list is done. Once your house is ready to put on the market it will most likely get an offer before your competition does. Many sellers will try to avoid some of the steps mentioned above. If you take the time and expense to tackle these issues, your house should outshine the others and sell for the highest sales price possible. When it comes to selling your home, the adage “you get out what you put in” rings exceptionally true. Your efforts will be well rewarded! Good Luck!